Are you currently using a one-of-a-kind hair product that will help people all over the world? Is there a unique method you use which benefits your clientele? Do you want to help to advance scientific hair knowledge? Receive over $1000 in bonuses! Knowledge is essential in understanding the impact of LIFE on our hair and scalp. Research on how physical and mental health, environmental factors, genetics and personal practices affect our hair plays a crucial role in solving many of the problems that exists in the world of hair. 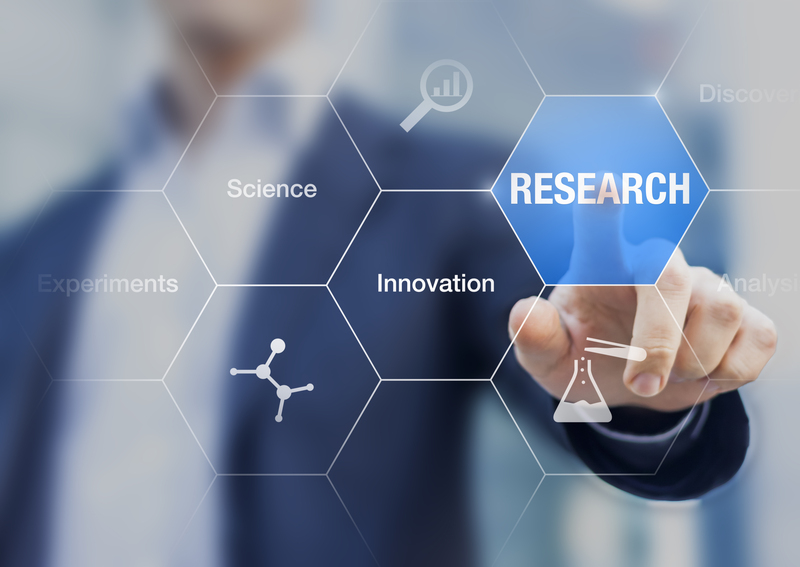 You have a unique opportunity to be a part of, or even create, this research! As a hair professional, you interact with those who are experiencing a variety of scalp and hair-related issues. 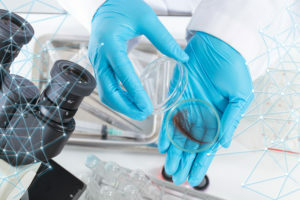 You are in the perfect position to collaborate with physicians and scientists to collect important data. With the right education, you can help our community to further address the impact of lifestyle, products, and grooming on hair and scalp health. After finishing the course and passing the Collaborative Institutional Training Initiative (CITI) training*, you will be issued a Certificate of Completion. *CITI training is a separate requirement. However, this course provides you with the knowledge and tools needed to pass it successfully. Afterwards, you will have the qualifications to conduct human studies after approval from an affiliated Institutional Review Board (IRB). 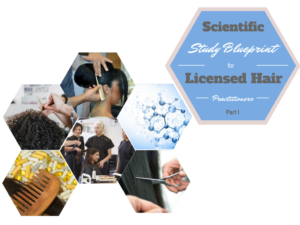 The Scientific Study Blueprint will not only allow you to collaborate with others to do research but will make you more marketable to organizations and businesses who need competent hair professionals. 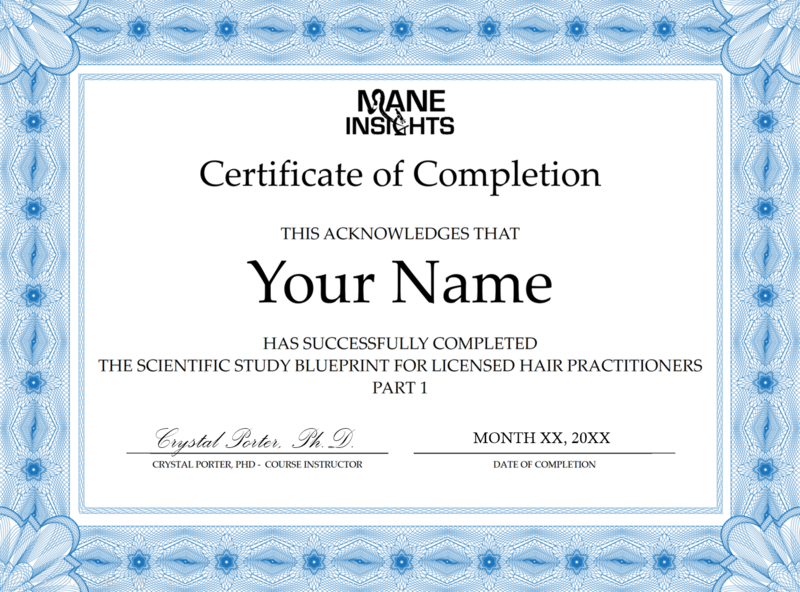 Since there is a demand for highly trained practitioners who have research experience, Mane Insights will promote you and your business. Save money by paying a one-time fee of $997 or split your payment to have dripped access to the course modules. Make 2 payments of $520 to access the modules 3 at a time. One additional payment will be automatically deducted from your credit card 3 weeks after the first payment. You will receive a lifelong membership where you will have access to the training after it is paid in full. Make 3 payments of $355 to access the modules 2 at a time. Payments will be automatically deducted from your credit card in 2 week intervals after the first payment. Make 6 payments of $185 to access the modules one at a time. Payments will be automatically deducted from your credit card on a weekly basis.